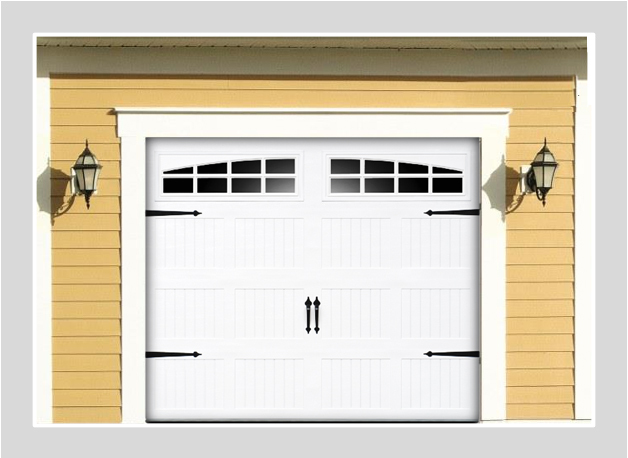 Enhance your home with this beautiful carriage style garage door. Garage doors are a key feature of your home and often get more use than any other entry point. A well maintained and attractive garage can increase the value of your home as well as its curb-appeal. TGS Garages & Doors understands the need for beautiful and functional garage doors. Our professional and experienced garage door installers are available 7 days a week for your convenience. We specialize in both residential garage door installation and repair. Call 800-644-5207 today to schedule an appointment!